When I was growing up there were 9 planets. Then scientists decided that Pluto was a dwarf planet and there was only 8. So why did this happen? To start out 200 years ago we had 11 planets and Pluto had not been discovered yet. Those 3 extra planet were the largest of the asteroids. They were Vesta, Juno and Ceres. 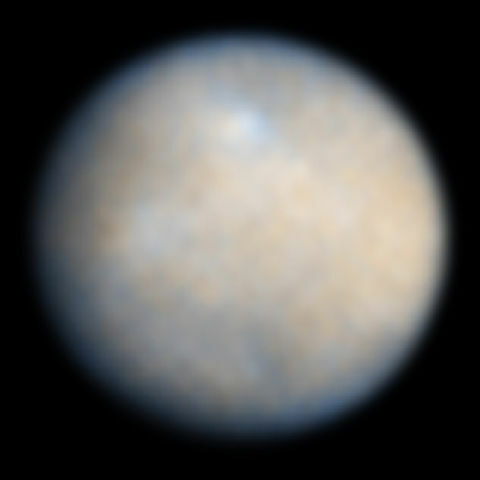 Ceres has since been classified as a dwarf planet. As they discovered more and more asteroids they reclassified them all as asteroids as they were different than the planets. When Pluto was discovered they thought it was much bigger than it really is. Thus they had no problem with considering it the ninth planet. When they found Pluto’s moon Charon they were able to calculate the mass of Pluto using the laws of physics. 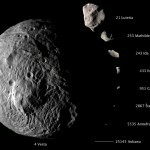 They found that is was tiny although still bigger than the asteroids. In the 1990’s scientists started finding more object out in the area where Pluto is. This area is called called the Kuiper Belt. One of these, Eris, is actually bigger than Pluto. They had a problem. If Pluto was a planet then so was Eris and probably some of the others that they were finding. We were going to end up with 13 planets and it would have grown from there. They estimate that there could be 200 objects big enough to be called dwarf planet out in the Kuiper belt. We certainly didn’t want to have to memorize 200+ planets. In 2006 they defined what is required in order to be a planet. 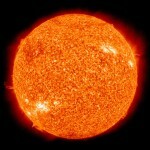 The object must orbit the sun. So the Earth meets this one since we go around the sun once a year. Our moon doesn’t because it orbits the Earth. It must be nearly round due to its gravity pulling it into a sphere. Basically the force of gravity it is creating must be greater than the forces holding its shape. It must have cleared its orbit of other objects or they are being controlled by the gravity of the planet. 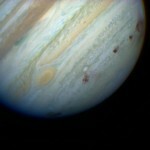 When the planets formed the bigger ones either vacuumed up or threw out object in their path. Pluto was unable to do this as was Ceres. Both are in orbits where there are other objects like them. So if they pass 1 and 2 but not the third they are considered to be a dwarf planet. If they meet all three then they are a planet. This was a controversial decision with a number of scientists wanting Pluto to remain a planet but really it was the best solution. For science to go forward we must be willing to reexamine, redefine and change based on the facts. Eris Outer edge of the Kuiper Belt or Scattered Disc. Hey, NASA – I was big enough for your mom. interesting! I didn’t know what the specific criteria for planets were, so now Pluto’s “demotion” to dwarf planet makes more sense. I was bitter about this. My mnemonic device lost its pizza. Another really informative post! Can I replace pizza with nachos? I didn’t come up with that. I really did enjoy reading this one! I even learned a few things I hadn’t known before. I had my eldest read it as well and he was really interested! To the point where he wants to do a small study on dwarf planets himself over the summer. Thank you so much for sharing this with me!